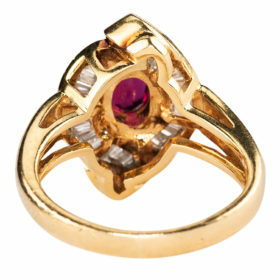 This unusual ring features a .95 carat ruby center displaying a rich blood red hue. 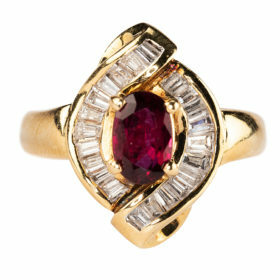 Encircling the ruby are 22 channel set diamonds totaling 1.05 carats. 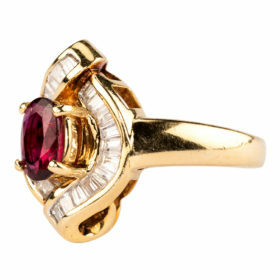 The diamonds are G in color and VS1 in clarity. 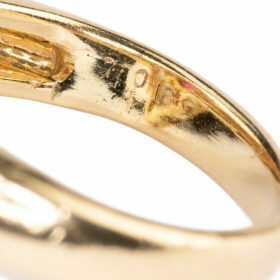 The ring is set in 18K gold.